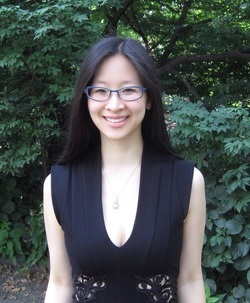 Dr. Pema Chen is a Doctor of Acupuncture and Chinese Medicine, and a licensed acupuncturist in NY and NJ. She is also a National Board Certified Acupuncturist and Herbalist by the NCCAOM. Dr. Chen received her Masters of Science in Traditional Oriental Medicine from the world-renowned Pacific College of Oriental Medicine, where she completed a comprehensive 4-year program that included biomedical sciences, equipping her with the skills and knowledge to understand and address your medical conditions. After completing her Master’s program, Dr. Chen decided to pursue additional studies and is one of the first in her field to complete acupuncture studies at a doctorate level. She graduated at the top of her doctorate level program and is excited to be a leader in the field of Oriental Medicine. Dr. Chen has completed clinical training at Beth Israel Continuum Cancer Center, where she treated patients in the Integrative Oncology Department. At Beth Israel, Dr. Chen participated in an ongoing clinical study to measure the effectiveness and benefits of acupuncture in treating xerostomia (dry mouth) caused by radiation and surgery from head/neck cancers. Not only did she further the progress of acupuncture, but Dr. Chen helped patients maintain their health and emotional well-being while they underwent chemotherapy and radiation therapy. Dr. Chen has also held clinical rotations at the Initiative for Women with Disabilities at NYU Langone Medical Center. At NYU, she treated people with many debilitating illnesses including, orthopedic damage to body structures, traumatic injuries, stroke rehabilitation, fibromyalgia, multiple sclerosis, arthritis, rheumatoid arthritis, degenerative joint diseases, women’s issues, a variety of pain conditions, and many other diseases. A lifelong athlete, her journey into health truly began as a 9-year-old training in kung-fu, where she learned the arts of meditation and self-discipline. After 8 years as a kung-fu practitioner, she earned a 1st degree black belt. She has also been a competitive runner since high school and is familiar with the many injuries an athlete can sustain while training. While attending Pacific College of Oriental Medicine, Dr. Chen chose to focus part of her clinic rotations on treating athletes suffering from joint and mobility conditions, including many runners preparing for the NYC marathon. Having suffered from a variety of injuries, she understands the frustration of not being able to practice the sport you love, and she aims to get you back into action as soon as possible. Dr. Chen is a 3rd-generation practitioner of Traditional Oriental Medicine and became interested in health at a young age. At just 13-years-old, she became a radio health talk show co-host at WEVD 1050AM where she focused her discussions on preventative medicine and holistic health. Together with her family’s lineage, coupled with formal Oriental Medicine and biomedical education, Dr. Chen has developed an extraordinary talent in treating patients compassionately and effectively. Healthy living continues to be a key component of her lifestyle. For a short time, Dr. Chen diverged from healthcare and after graduating from NYU Stern School of Business, she worked at The Boston Consulting Group, a prestigious global management consulting firm. However, she has now found her way back to her true passion: helping you and others heal from their pains and sufferings.